It’s #PreSonusFAMFriday with Connor Guiberteau! When it comes to Quality and Assurance, here’s your guy. And when it comes to the Quantum, he considers it his own child! 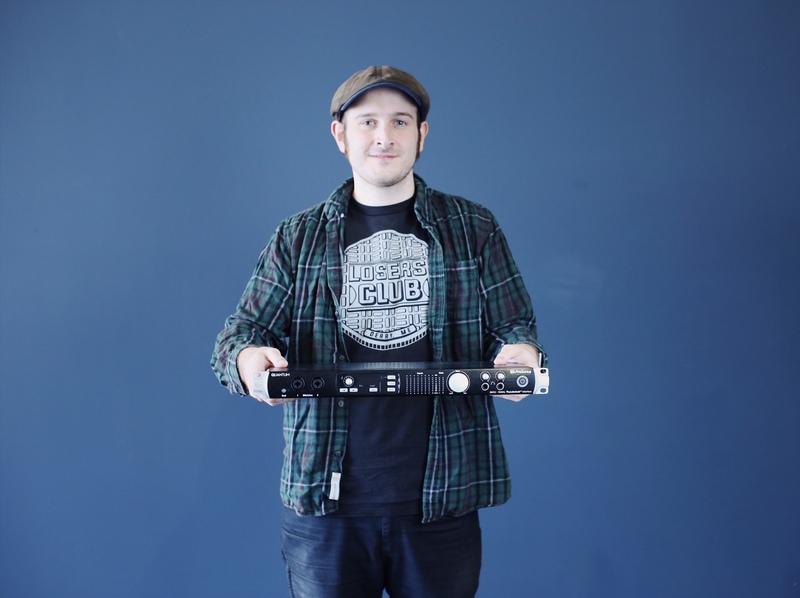 It’s Connor Guiberteau for PreSonus FAM Friday! I will make 2 years this October. I get to play with all of the new gear before anyone else. I specialize with interfaces. PreSonus products helped me greatly in paving the way to being an audio engineer. It was pretty much a no brainer. Blink 182- Enema of the State. The way Jerry Finn mixed changed how I heard music. It really depends on the day. I jump genres a lot so at any time I could be jamming anything from Pepper, PEARS, or Wu Tang. I play in a band called Odie–It’s fast punk music with Beach Boy harmonies. Mainly a drummer but I also enjoy playing bass and guitar. What do you love about the Quantum? Quantum is super simple and straight to the point. It works so well that you can get lost in your mix and forget you’re even using it. Plus it’s so easily expandable. Why did you choose the Quantum as your favorite? I was heavily involved with the QA process for this device. It’s like a child to me. I have a Studiolive 16.4.2, Studio Channel and a Monitor station v2. Tell us about a successful event you worked with PreSonus. Well, I don’t really do live mixing anymore, but I did do a 13-hour local festival called MitchFest. The bar’s previous sound guy couldn’t make it, and they knew I had a 16.4.2, so I got called up to fill in. It was actually the first time I ever ran sound, it was also the first time I ran sound and played in three of the bands at the same time. Ultimately, the experience there is what brought me here. Odie put out a 3 song EP and I also just finished a 12 song LP with Heavy Mantle. Looking to get back in the studio with Odie in about a month or two. Got any tips for working with the Quantum? Don’t overthink it, have fun, and maybe grab a slice of pizza. Check out the new Odie – Wet Sounds EP on BandCamp or Spotify. We put all our music out for free. Follow Connor on Instagram here! Follow Odie The Band here! Learn more about the Quantum here! Any news on Studio One 4 or a update?I hope the hip hop community get something new as for as features.And lets get that Video scoring for YouTube.